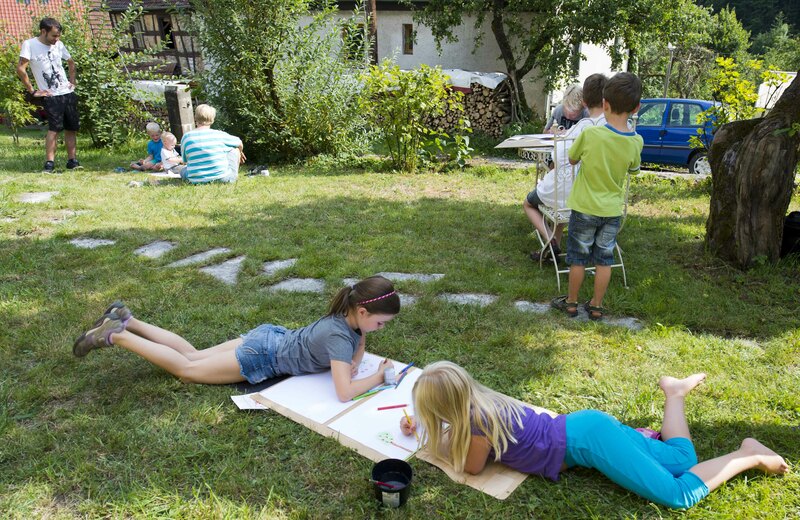 On 4th August 2015, 18 kids gathered in the garden of the Alte Schule Hohenstein in bright sunshine. 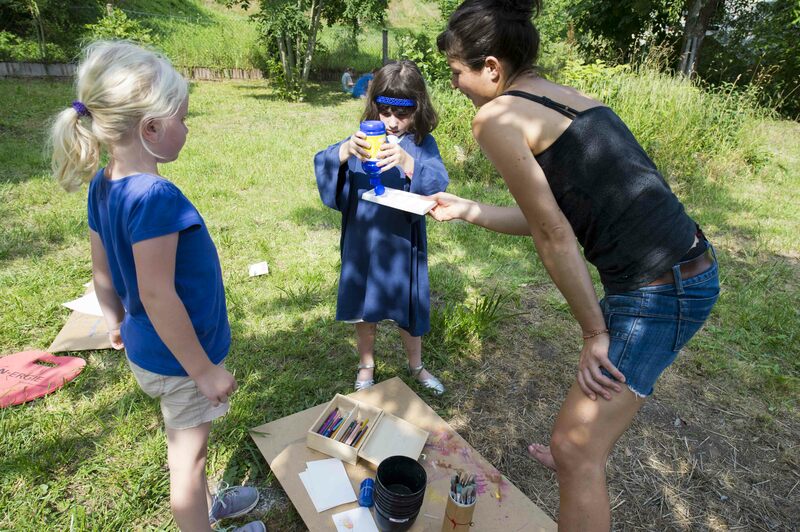 Equipped with drawing material, they each created a picture of their very own paradise garden. 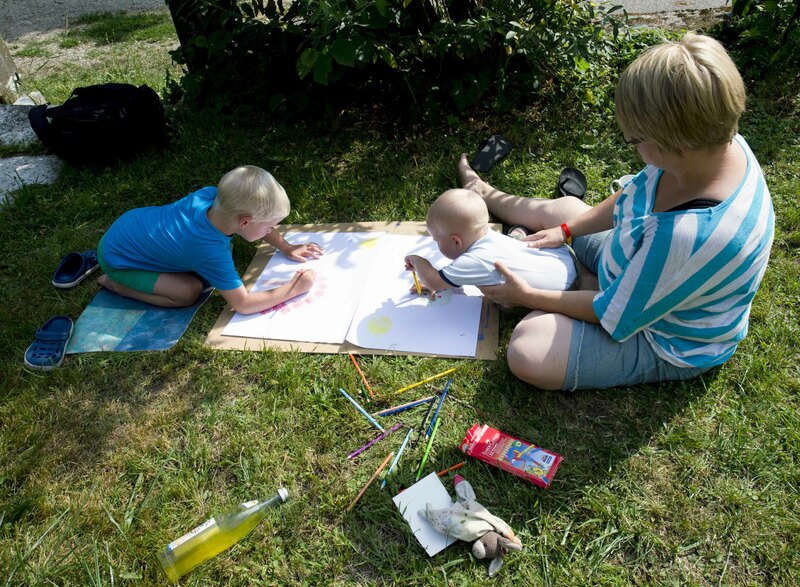 This paradise garden could be located under water, be a football stadium or be cluttered with lots of trees and flowers. 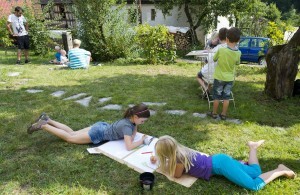 The occasion was the first workshop organized by the Alte Schule Hohenstein. Workshop leader Katrin Brand guided the kids in their creative work. In the meantime, the adults devoted themselves to culinary delights. Delicious homemade cake and coffee went nicely with a cosy chat.